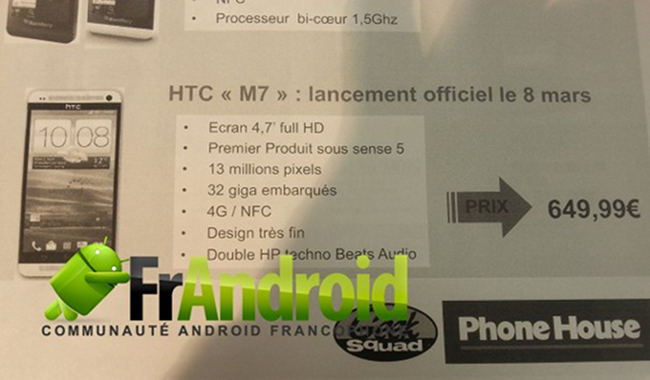 The folks over at French Android site FrAndroid, received the screenshot you are seeing above which depicts a launch scenario for HTC’s soon-to-be-announced M7 handset. If real, Phone House, a big electronics retailer in Europe, is expecting to have the device available for sale on March 8 at a price of 649 euros. This date matches up to a previous rumor we saw a few weeks back. We’re also seeing what could be an official spec list, which shows the device having a 4.7″ FHD display, Sense 5.0, 13MP camera, 32GB internal storage, 4G LTE, NFC, and dual Beats Audio speakers. That alls sounds about right or is at least comparable to what we have heard numerous times over the last couple of months. But is it legit? Why would Phone House use a render from a tech site in its launch documentation for employees? Tough to tell. What we do know is that retailers screw up all of the time and have been found to have used random images from the web in plenty of internal materials. 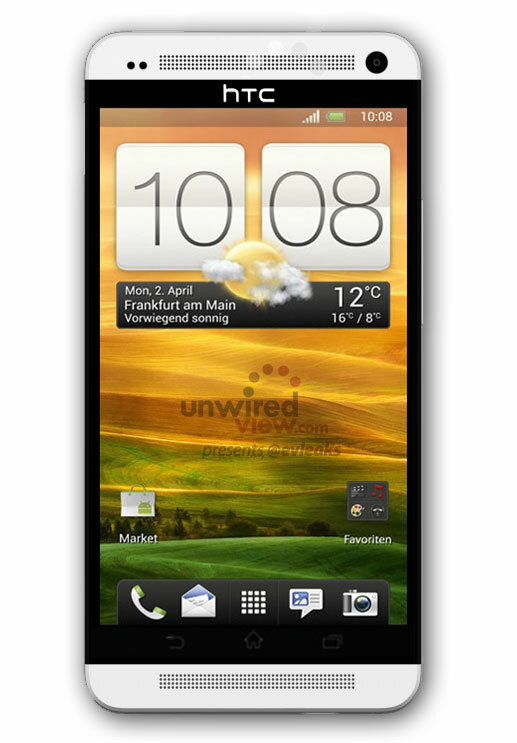 For example, go to Verizon’s Trade-in program page and plug-in the HTC Thunderbolt. So we don’t know if it’s 100% real or not. What’s interesting, is that the spec list mentions dual Beats Audio speakers, something this render clearly shows it having. But do any of the other M7 leaks show dual-speakers? Not necessarily. Then again, HTC did hint at a new sound experience coming to their phones in 2013 – are front speakers what they are referring to? Clearly, we still have some questions as we get closer to the M7’s official unveiling on February 19.